Iran says it will begin uranium enrichment beyond previous levels if the remaining parties fail to uphold the 2015 nuclear deal. Iran threatened on Wednesday that it will begin uranium enrichment beyond previous levels if the remaining parties fail to uphold the 2015 nuclear deal. "We will not return to previous levels if our counterparts leave the JCPOA (nuclear deal), but will instead reach even more advanced levels," said Behrouz Kamalvandi, a spokesman for Iran’s Atomic Energy Organization, according to AFP. "We are at a considerably more advanced status than when we signed the deal. The country is moving ahead in nuclear activities at a favorable pace," he added. Iran has repeatedly said it will resume high-level uranium enrichment if the 2015 agreement falls apart. US President Donald Trump pulled out of the deal in May, and recently signed an executive order officially reinstating sanctions against Iran. The European signatories to the deal did not agree with Trump’s decision to leave the deal and have been trying to save the accord, which they see as crucial to forestalling an Iranian nuclear weapon. Tehran has demanded that Europe come up with an economic package to offset the effects of the US withdrawal but so far has found Europe’s proposals to be unsatisfactory. Iran recently received several batches of the 20%-enriched uranium which it sent to Russia in 2015 as part of its commitments under the nuclear deal. 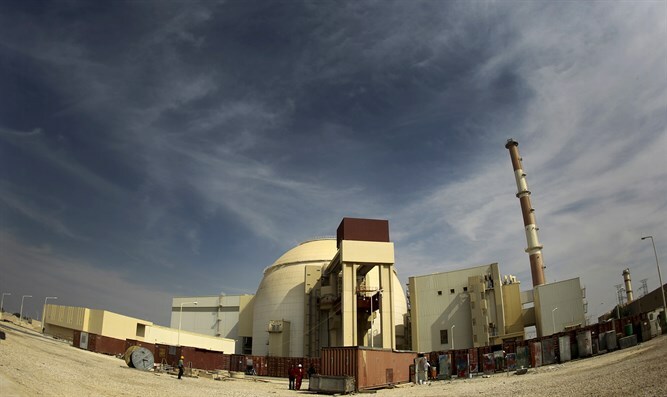 Iran recently reopened a nuclear plant that was idle for nine years as it prepared to increase uranium enrichment capacity in response to Trump leaving the 2015 agreement.